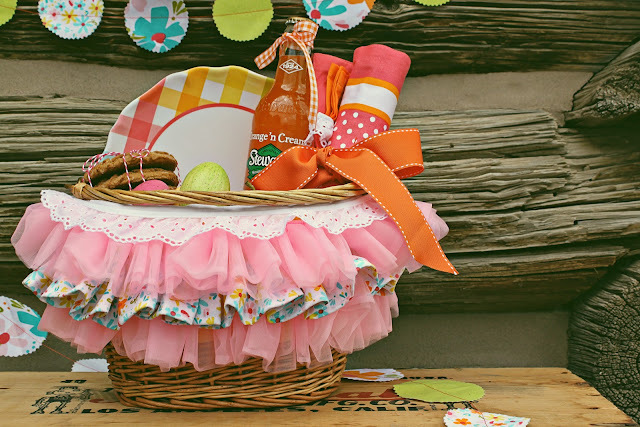 Easter Picnic Baskets and Utensil Caddy’s! 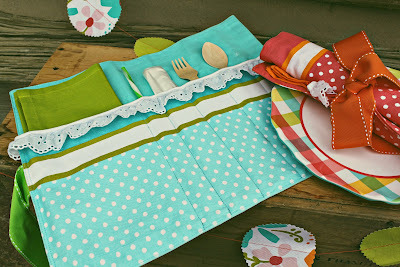 Swoon, sweet Easter picnic here we go…………..
Oh, this just caught my eye today! 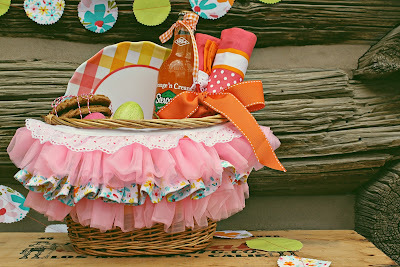 It sure makes me want to have an Easter Picnic! Thanks to Anj at SnowyBliss I just might have to do a picnic and make these wonderful picnic caddy’s with her lovely tutorial over on her blog! How about a little birds nest treat for your basket of goodies? It only takes 3 Ingredients! I spotted this on Pinterest and thought this would be a sweet Easter skirt for Sammie! Simple Simon & Company made a tutorial for making just that skirt! Oh, all the Easter sweetness I am seeing across the web! Elizabeth Evans Apron Skirt Tutorial on Scribed. So now that I have the idea of a picnic I am on the hunt for a perfect menu to go in the basket besides those cute little birds nests treats. Do you have any menu suggestions for an Easter picnic?